September and October can be very difficult times on any lake. The fish are mopping up the naturals big time and the weather can be changeable, before settling into a normal Autumn pattern. But, as we all know, when the weather is right the fish go on the munch big time and the rewards can be fantastic. This is fishing – some weeks are good and some pegs are better than others and it changes from week to week. Great when you are on the fish and frustrating when you are not. Personally I love this time of year. 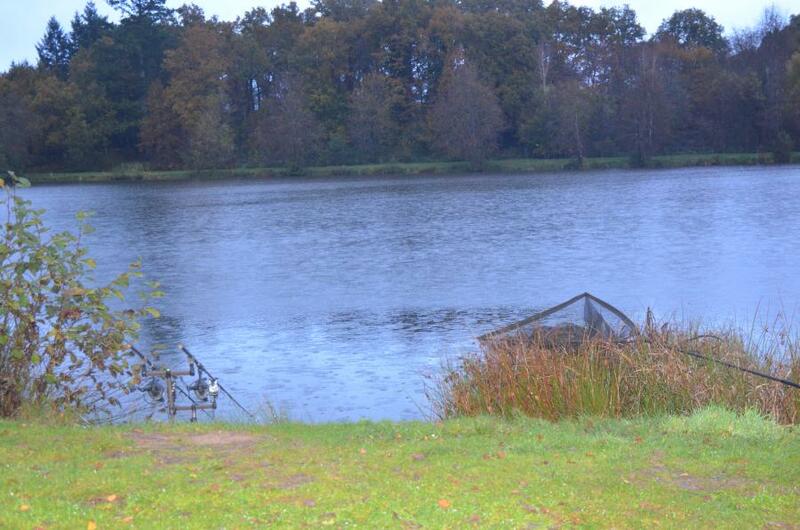 The lake looks fantastic in Autumn and the fish seem to change colour overnight. Oh, and yes it's big, BIG fish time. I am only going to single out what I consider to be the best results over the last six or so weeks, as there have been many catches and far too many for me to remember all of them. The beginning of September we had Kevin Cooke and Jez Sussex on for two weeks in pegs 3 and 4. The boys did some real damage catching a lot of the big 40lb fish as well as some stunning 50lb fish. Their tally for the two weeks was 47 fish with 19 over 40lb to 48lb plus five over 50lb - including Cookies Common. This common seems to be putting on some weight and it’s got the frame to go much bigger. Great fishing for the lads and with Kevin flying from Australia to fish here again it made the trip very worthwhile. The early part of September was still warm and the whole lake was catching. 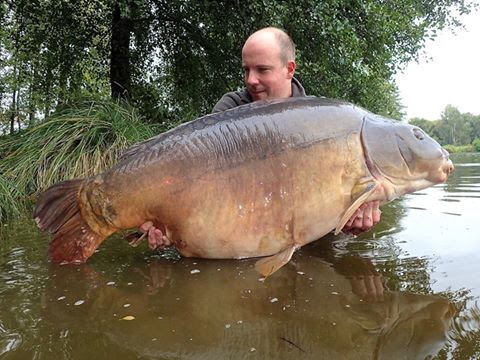 Our German anglers, both named Uwe, on pegs 1 and 2 also did well with some stunning fish over 40lb. 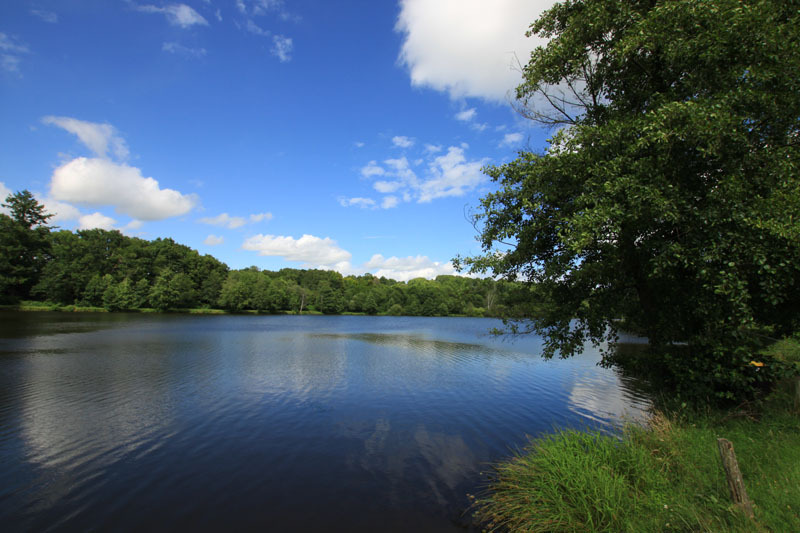 The second half of September fished very patchy as the rain arrived and the water temperature plummeted from 24 degrees to 18 and then down again after the first frosts to 14 degrees. Ribiere regular Neville Wright showed his class during a difficult week catching some nice fish to upper 40lb and 50lb. Richard Hodgkinson, fishing peg 4, also did well landing our stunning Big Lyn. Great to see Richard catching and relaxing at La Ribiere. The second half of the month also saw Peter Hergt fishing for two weeks. You know it’s hard when he is not catching and his second week was particularly difficult as the cold easterly winds blew in and the fish seemed to completely switch off. Never the less during his first week, as ever, Peter managed a lot of fish over 40lb to 49lb. 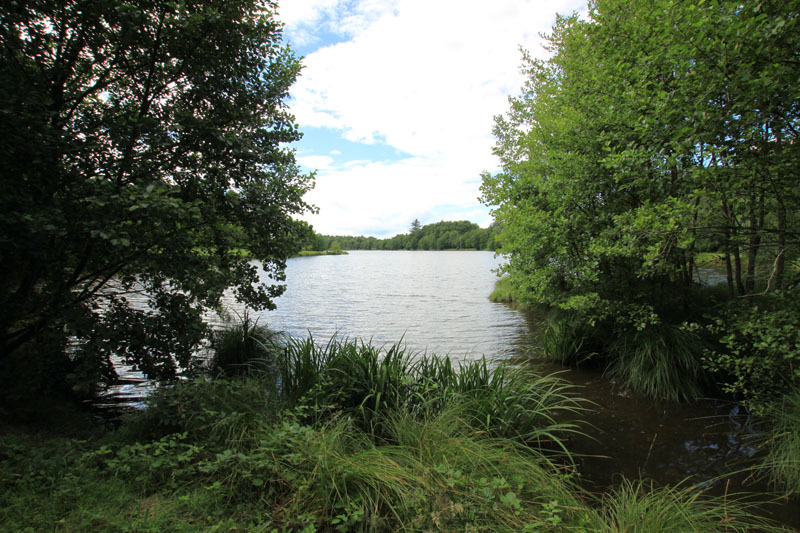 Despite difficult conditions at the end of September the whole lake was producing fish. Pegs 8 and 9 have continued to impress this year with the Paul Gilmour's group catching some nice fish including a very nice young mirror at 46.8lb and a good looking common both from peg 9. The first week of October remained patchy with cold winds and rain and it took until the second week of October for the fish to get back on the feed. And when they did it was in spectacular fashion. As seems to be the way here at Ribiere, if you get your timing right and the weather is kind they will feed and if you get on the big fish, it just blows you away. The main people to do the damage were Ribiere regulars Jo and Piero Vandeweyer who had a very good run of big fish. They landed around ten fish over 20kg in just a few days including four fish of 22kg, a 23kg and a 24kg. Then the fish moved and, out of the blue, a 60lb fish and Alex were landed in just a few hours. 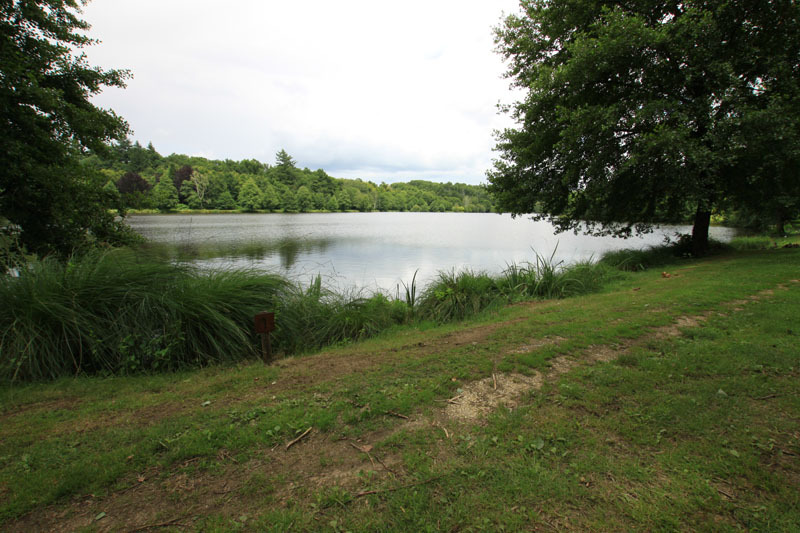 This year’s biggest brace of fish falling to French anglers Yohann and Severine Van de Maelen on pegs 1 and 2 who, up to this point, had only had a couple of fish. 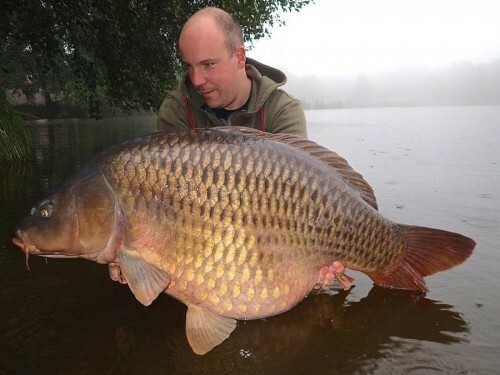 Yohann then followed this up with a big common. What a session! 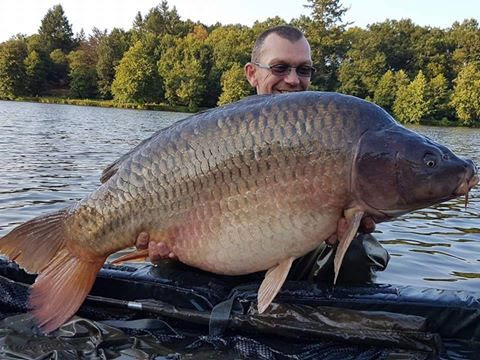 Cookies Common was also out again - up in weight at 52lb - to another of our French anglers, M. Roux. The third week of October was all about Dean Marshall and co, who smashed it in style. They landed over 30 fish with lots of 30lb fish, four or five over 40lb, three over 50lb and finishing with a 62lb fish. What stands out about this hit was two things. 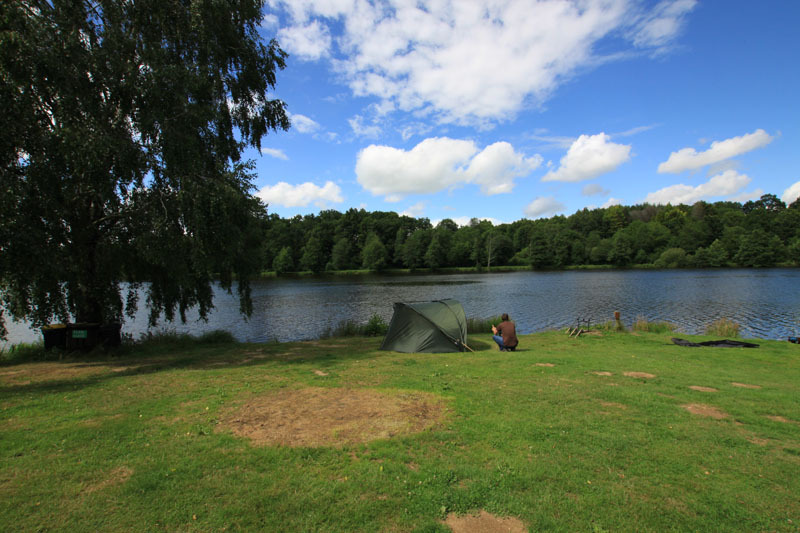 Firstly, the peg had blanked the previous week and, secondly, Dean's ability to get all his rods producing at different times of the day and night was simply special. His reading of the water, bait and baiting application was spot on and his rigs were different enough to entice the fish into picking them up. It’s even more special when the fish were obviously moving all over the lake and no one else could get them to stop and feed - with the exception of John Weir in peg 9 who managed a very consistent week and landed Black Spot at 53.10. John also lost a very, very big fish. I had seen a very big fish down in 8/9 and so had John and we are both convinced this is the fish he lost. The fish snagged him in 9. Given that we don’t have a known snag there that’s one clever fish. John has now finished his two week session in peg 9 and I can honestly say that I have been blown away by his results. The best session in 9 all year and it just shows you what you can do if you understand why the fish are here and what they are doing. 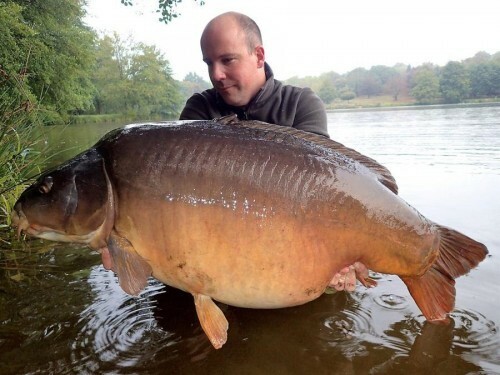 He finished with 3x50lb to 56.2lb including "Black Spot" plus 7 over 40lb to 46lb with a total of 19 fish. 17 of the fish in the second week. It took him a little time to get it right but once he has sussed it he was catching every night. His approach was to not fish during the day and only fish at night. He was awake most of the night watching to see where the fish were showing and feeding and he got all his spots producing. He honed his rigs on the first week going small and slack-lined to great effect. The key is making them feel safe here. It worked a treat for John. Well done, top angling. So as you can see some very special catches over the last few weeks and I hope to report some more big fish over the remaining five or so weeks. 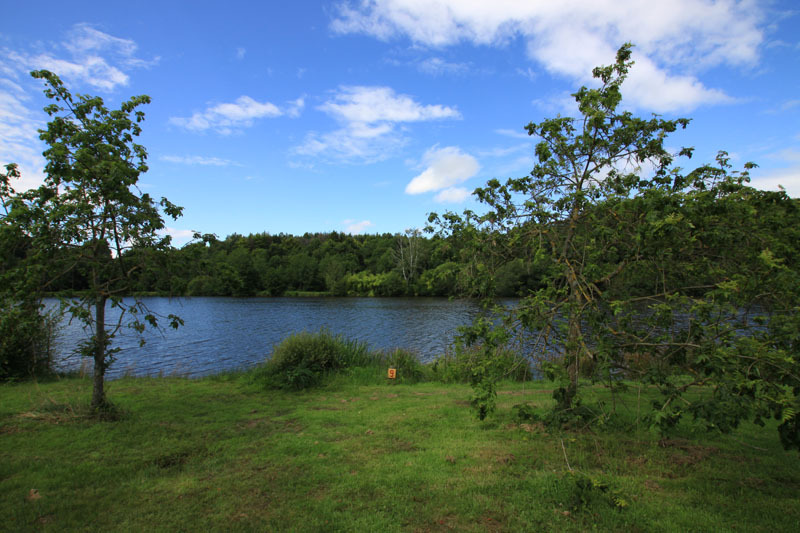 We have not seen some of the big fish since April and May so I am expecting at least four or five fish out over 60lb, including the big two tone, the big long grey fish and moon scale to all make appearances. Fingers crossed for good weather conditions. 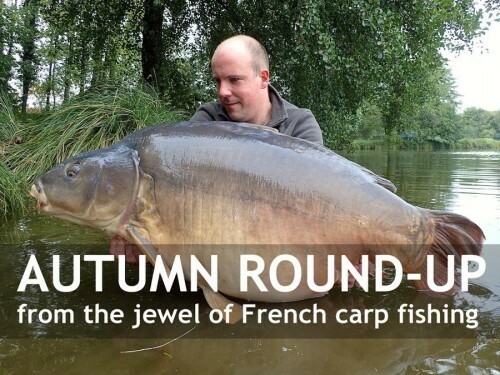 The results this Autumn for many of our anglers have been fantastic. But it’s been quite hit and miss with the weather and with peg selection. One week a peg is doing well, the next it’s not. Sometimes this is because of the conditions, other times it's down to the way it's fished. What is very evident to me watching the water every day and seeing you all fish is that there are far too many anglers doing the same thing and expecting great results. Taking advice is great but you need to put your own spin on things, try new ideas and see what works. Hot Spots - When most people come they 'know the spots'. Most of you are fishing to the same spots as the people before you. Some of them I would always fish, as they are magnets for the fish, others not. You need to think about why the fish are in these areas and move your spots, as to my mind, the fish are shying away from them. Many of you seem reluctant to move to showing fish. I can tell you that the last capture of Alex was not from a 'known spot' and that tells you a lot.